You are purchasing a wholesale lot of assorted Candles. This lot contains approx. 6 items. These items are New, mostly still in retail packaging. Please see the original images for the assortment. 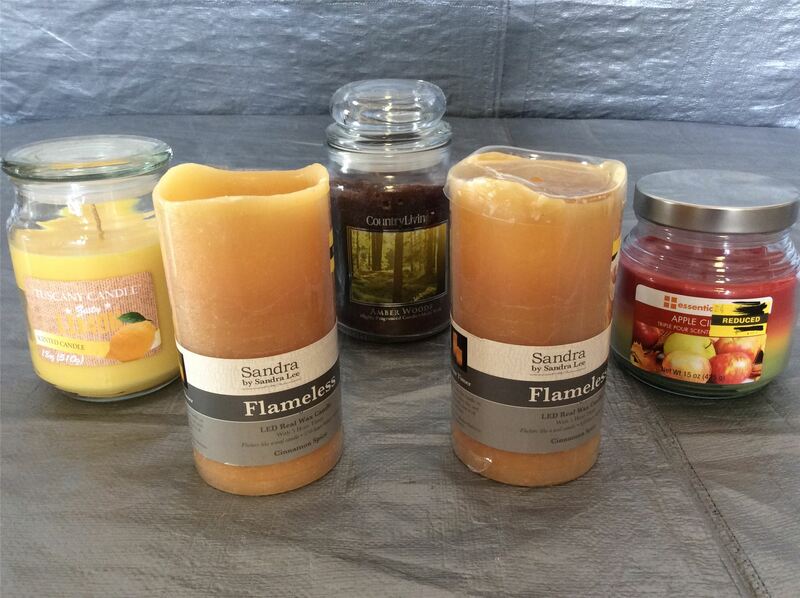 This lot has a mix of flameless and flamed candle. Click the button below to add the Wholesale Lot of Assorted Candles, Mixed Scents, Lot of 6 to your wish list.